One of our top requested features is now ready to ship! The ability to make comments on individual time entries to note what has been done. For big tasks you can now view a history of what work was done while it was being worked on. 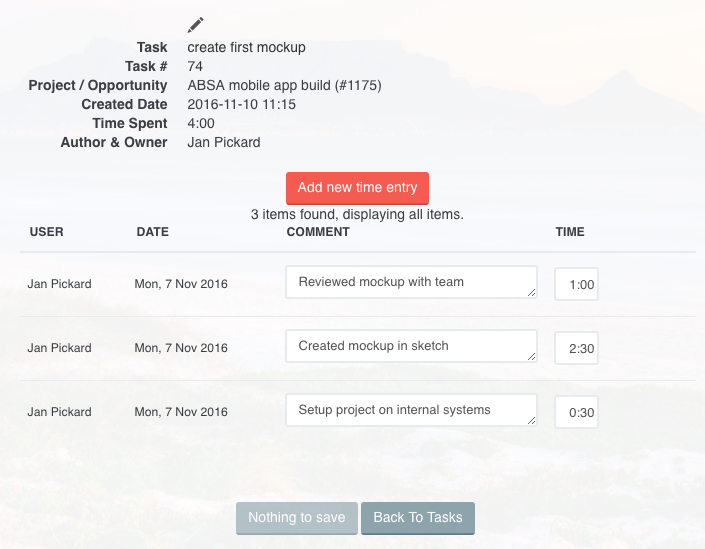 We have also overhauled the Timesheet page and Task Time Entries page and added auto-saving of changes. Select the checkbox "Show time comments" and a box will pop out on the right. This box holds the individual time entries and comments that make up the time for the task and day selected. 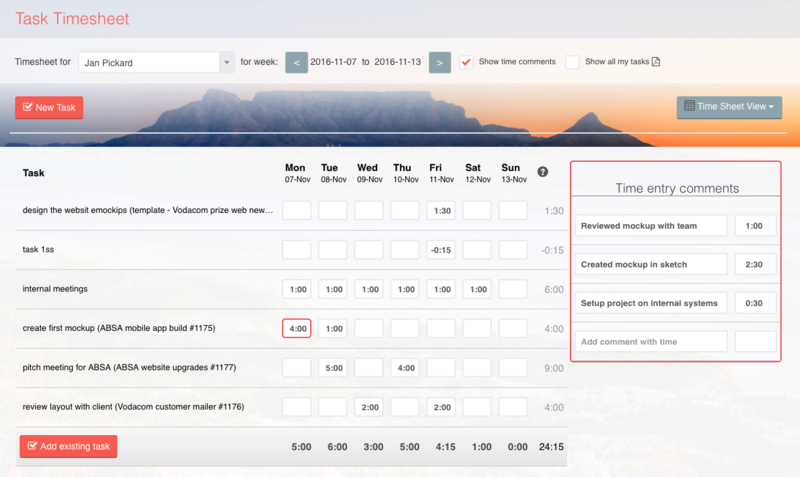 You can now add comments against the specific time entries in the time entries page. Time entries and their associated comments now appear with other task comments so you now have a single place to have view all activity on a task. 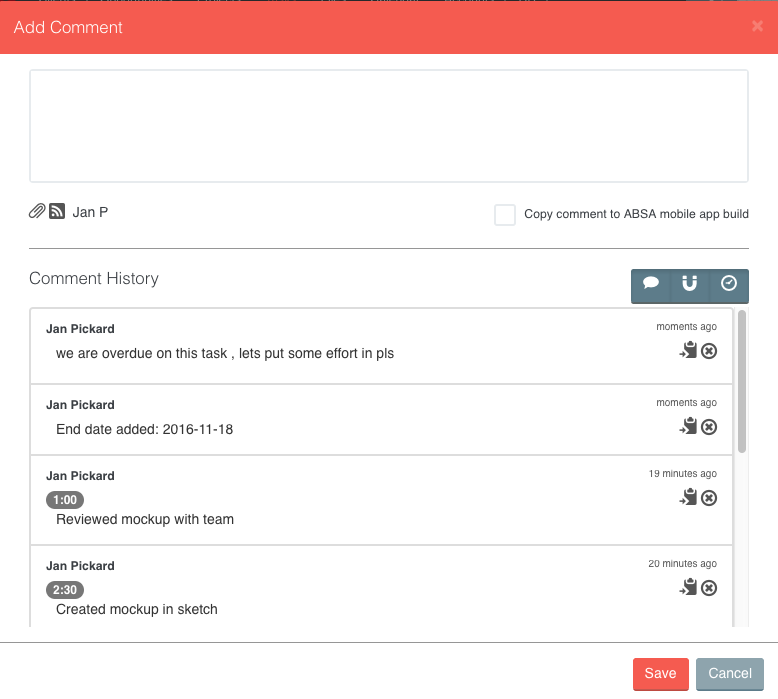 You can toggle whether you want to see Comments, Time Entries and Task Changes. We hope you love this new feature. Please let us know any feedback you have.